At the end of the week, we resume everything that the cryptocommunity talked about over the past seven days. This week decision SEC had negative effect on cryptocurrency market, the number of nodes Lightning Network has exceeded 3000 and Goldman Sachs was considering the possibility of creating a cryptocurrency depository storage service. On August 8 U.S. Securities and Exchange Commission (SEC) issued a statement that decision on the joint application of VanEck and SolidX to launch the bitcoin-ETF on the Chicago Stock Exchange (Cboe) may be delayed until September 30. Against the background of this news, the capitalization of the cryptocurrency market fell by $ 33 billion, and bitcoin lost almost 10%. Bitmain, the mining giant, has attracted Chinese technology company Tencent and Japanese Softbank as investors, ahead of the IPO, which is to take place this year at the Hong Kong Exchange. 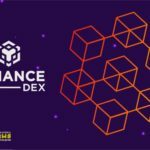 The Binance cryptocurrency exchange on Thursday, August 9, disclosed the first details of its future decentralized trading platform Binance Chain. Binance CEO, Changpen Zhao, first showed (video) the demo version of Binance Chain. According to businessman and publicist Clem Chambers, Google Trends statistics of search queries with the word "bitcoin" indicate: the bad streak for investors is behind. But those who are waiting for even more recession to purchase coins, it can upset. João Amoêdo, the presidential candidate of Brazil, supports new financial technologies, including blockchain integration into electronic voting platforms, the accounting system for public administration and digital identity management in the network. In a recent interview, Amoêdo expressed the hope that the country and government will benefit from the implementation of the blockchain system. In an interview with Bloomberg, a special agent of the US Drug Enforcement Administration (DEA), Lilita Infante, said that about 10% of bitcoin transactions are related to criminal activities. According to Infante, this is well below the level of 2013, when the number of "illegal" transactions reached 90% due to the activities of the Silk Road. Infante says that the volume of such operations has grown significantly, but their share has decreased as the popularity of cryptocurrency has increased. According to her, most transactions are now related to speculation on the price of bitcoin. The Central Bank of Spain issued a report stating that the use of digital currencies, especially if it is a digital version of the state currency, can improve the country's monetary policy and contribute to the development of the national financial infrastructure. One of the leaders of the bank, Halo Nuno, said that cryptocurrencies can improve the economy. The number of nodes Lightning Network (LN) has exceeded 3000, and the amount of funds in the network has reached almost 100 bitcoins. 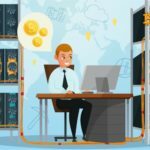 The 1ml.com resource data show that the network capacity has increased by 85% in the last 30 days, bringing the total amount of funds in the LN to 97 BTC ($ 628,000). 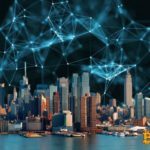 Intercontinental Exchange (ICE), which owns the New York Stock Exchange (NYSE), is creating a new company called Bakkt, which is designed to establish a connection between the disconnected players of Wall Street, small individual traders and leading cryptocurrency. The founder, chairman and head of the NYSE, Jeffrey Spreacher, explained that bitcoin with the support of cryptoplatform Bakkt can become a means of global payments. The Starbucks coffee shop along with Microsoft will also support the project. However, according to the spokespersons of the network, Starbucks does not intend to take bitcoins - the company seeks to help people spend it. The new joint project represents a platform on which users can exchange a crypto currency for American dollars and already pay them in coffee shops. Investment holding Goldman Sachs is considering the possibility of creating a cryptocurrency depository storage service. This means that the bank will store digital assets on behalf of funds, reducing the risk to customers seeking to protect themselves from hacker attacks. It is not known yet when the company expects to launch this service. Swiss bank Maerki Baumann starts working with cryptoassets, received as a reward for certain services or in the process of mining. Representatives of the bank reported that they consider digital currencies as an alternative for investors, and admitted that their experience in this area is rather limited. Representatives of Opera team announced that they will add a cryptocurrency wallet to the browser version for desktop computers. To this decision they were pushed by the success of the cryptocurrency wallet for Android mobile devices, which was launched in July. The company Input Output Hong Kong (IOHK) (one of the three organizations behind the Cardano cryptocurrency) announced in its blog about the successful launch of the IELE virtual machine - the LLVM version, focused on optimizing the execution of smart contracts on the blockchain. Now, developers will test and refine the technology to eventually implement it on the Cardano platform. This is the second launch in the Cardano testnet: in May, Cardano launched the KEVM testnet, the virtual ethereum machine (Ethereum VirtualMachine, ELM), built on the semantic framework "K". As follows from the documents published by the US Patent and Trademark Office (USPTO), the American company Intuit received a patent for payment processing in bitcoins via text messages (SMS). A patent application describing a system by which users can transfer funds in bitcoins by sending SMS from their mobile was filed in 2014. The Chinese Ministry of Industry and Information Technology (MIIT) is exploring possible scenarios for the accelerated development and distribution of blockchain technology. MIIT intends to gradually spread the blockage in various areas - from the financial sector to other industries, including the management of supply systems, the Internet of things, etc. The ministry plans to strengthen cooperation with various departments and create a solid industrial ecosystem. A three-level network of 15,000 bots that steals cryptocurrency was found on Twitter. First, the bots create a fake account associated with cryptocurrencies, using the name of the legitimate user. Bots respond to tweets published by "real" accounts, placing links that lead to fraudulent resources. 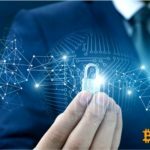 In Brazil, the Coinhive Miner "infected" 170,000 devices and continues to spread. © 2018 bit.news | queries 222, for 0.508 sec.